Signature East of Thailand granite stone only.100% solid granite stone long life time. Handcraft polishing finished in side smoothing of mortar and pestle. Granite is strong adhesiveness.True if the landmark "Angsila chonburi " mortars must have two ear is embossed button up. At key Mortars hit, from the class of artisans Removing legacy, wisdom comes from ancestors. In addition the unique beauty of each hand carved piece is a work of art in the kitchen as well. Make a wonderful gift and perfect practical gift for friends, for Birthdays, Thanksgiving and Christmas. The pestle and inside surface of the mortar are polished smooth, so it will not absorb odors from food. The mortars and pestles all those chefs are using during their TV shows- now you can make this happen as well. A perfect tool for crushing spices like they're supposed to- what else do you need? If your best friend's birthday is just around the corner and you would like to offer an intimate and memorable gift, then our mortar and pestle kit is going to put large smile on your loving ones' faces no matter what. A precious gift worth showing off- something stylish and functional, reminding us of past times. 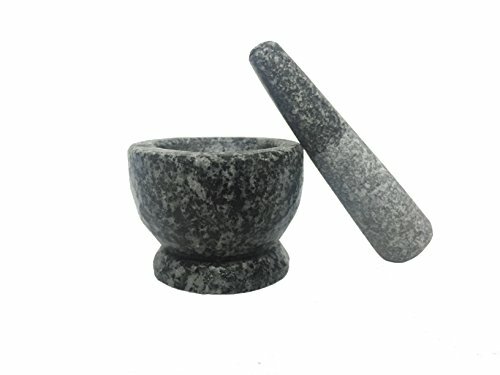 Mortar high=1.7",diameter =2.3",Inner diameter=1.5",inner deep=1.5",Pestle long=3", Pestle diameter=0.7" Apro. If you have any questions about this product by WD store, contact us by completing and submitting the form below. If you are looking for a specif part number, please include it with your message.